The World Service Corps is a World Winner! 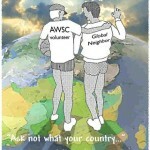 The World Service Corps idea, vision, and bill moving before Congress go to the heart of what America is all about. The WSC is a powerful non-partisan call toAmerica’s young people and those who are older who share with them the flame of youthful daring and sense of service. The idea, the vision, and the bill bring that daring and sense of service to peoples everywhere around the world. It could not come at a better time. Indeed, it is vitally needed as never before. 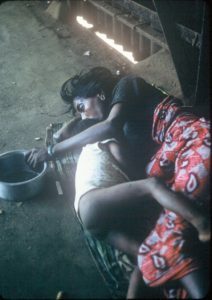 We want to assure peoples everywhere, including our own people in these United States, that we can and will go to work to help them, and work with them, to find solutions together to tough practical problems in their neighborhoods, their farms, their businesses, their factories, their streets, their schools, their hospitals. The caring and working together is good for everyone, both those who serve and those who are served. The World Service Corps will stand as a beacon of hope and courage. It will go a long way to dissolve the discouragement and even apathy that grips many throughout the world. It will overcome the feeling of powerlessness and loss of life’s spirit and morale. It will channel people’s grief and anger into life productive activity. It will express and demonstrate the true strength of America for all to see and share.